I have spent a lot of time writing on many subjects lately, especially spirituality and homeschool, as it is a thread that weaves through the tapestry of my life. 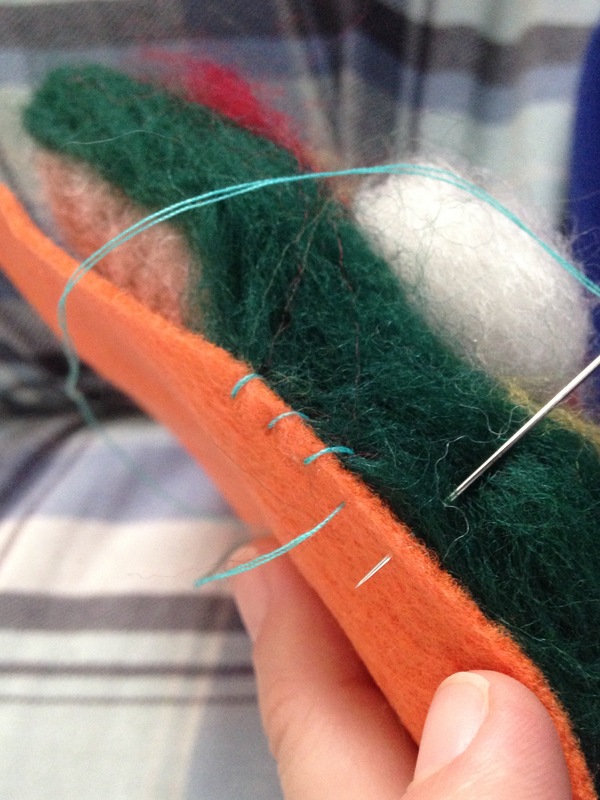 The other day I had an opportunity to give to my boy’s choir teacher, because it was her birthday, so I wanted to do a little post about Handwork. A nice change. I enjoy knitting, though I am not a professional, nor can I read patterns well, not yet anyway I’m young still. I love to sew, by hand and machine. I can probably sew better than I can knit. 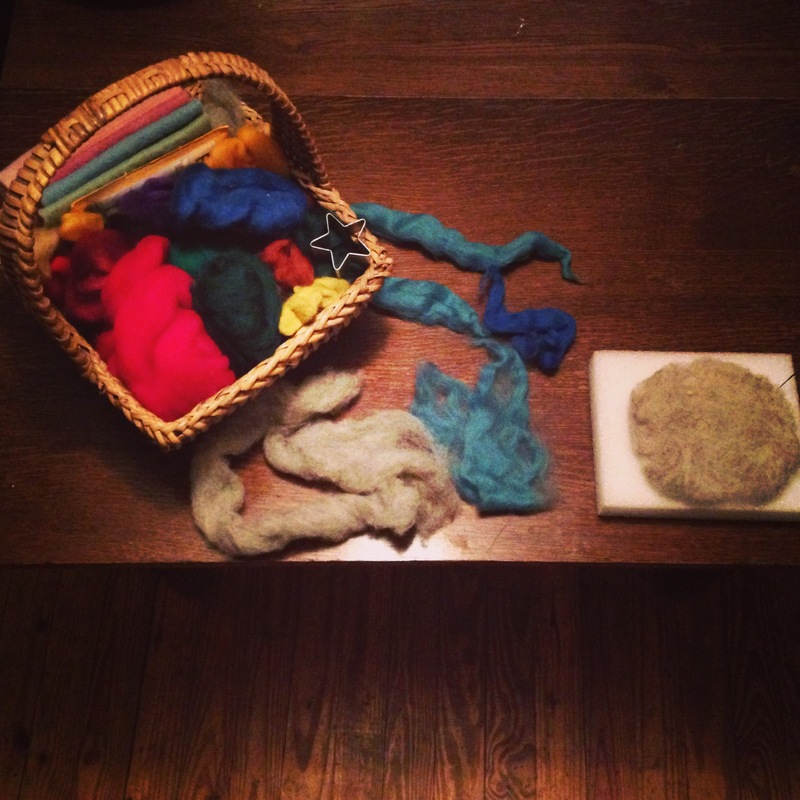 Also, I have been trying to work more with roving and felt and had my eye on a Pinterest project. Here’s a screenshot. Isn’t it a beauty! I thought I could make this little felt picture quick enough to gift the next day. I began around dinner and was done by 10pm. That included eating dinner, and caring for the children. 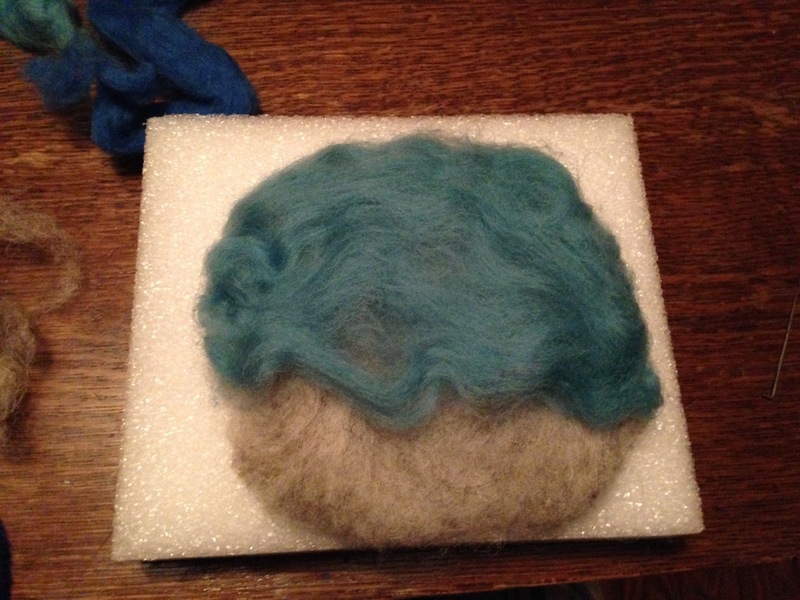 The first thing I did was lay out some undyed grey roving, and shape it into a circle. Then I began the background by adding two layers, upper and lower. I use special spiral needles from Cedar Ring Circle Co op. It didn’t take long to get the two layers down and then I worked on the white candle next and learned a little something. It is easier to add roving as you go. I added a little too much, but I was able to pull it apart and rework it. I added the accent colors just like the example above and here it is, but I am not finished yet. Next needs to come the solid felt backing, so that I could make this a wall hanging. I happen to have a full sheet of orange, so thankfully that worked. 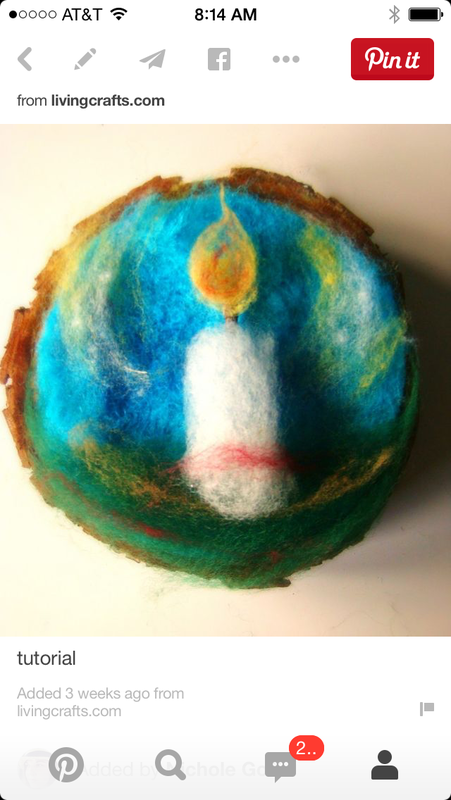 Be careful when sewing on the backing not to mess up the felted picture. It is delicate. I did this part of the process the very next morning after making the scene. I added an embroider floss cord on the back and viola! Here’s the final picture below. I feel satisfied with my handwork, and we had a lovely gift for the boy’s choir teacher. She volunteers each week at the church and it is important for my boy’s to practice reciprocity, to a patient and caring teacher. This was fun. 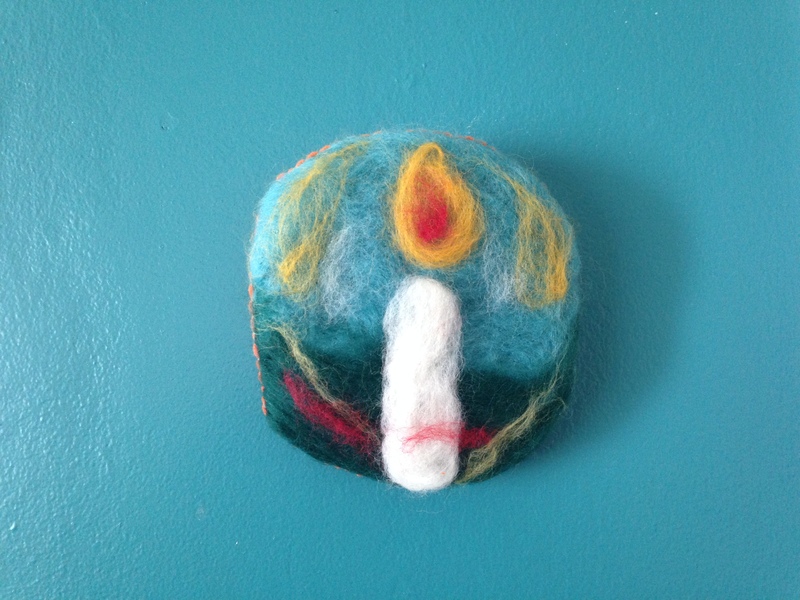 Feel free to find this project on my Felting Board. And you can locate me over on Instagram where I post my projects a bit more. Today is Ash Wednesday, and it has been snowing! There are already piles of snow outside of my door and I have been homebound since Sunday. It was slick this morning and my husband got the 4×4 stuck long enough to miss a couple hours of work. We usually go to Wednesday Evening Fellowship for Children’s Choir, dinner and a service, but everything is cancelled. I am sad about missing today’s service, because it is Ash Wednesday and I felt the need to have a more reverent experience with our community. However, it gave us opportunity to bring that reverence into our experience at home. When we gathered for the morning at the table I smudged the children’s foreheads with white sage ash, because that is all we had on hand. Early on I began weaving a little bracelet of purple hemp cotton to remind us of what we wish to achieve. 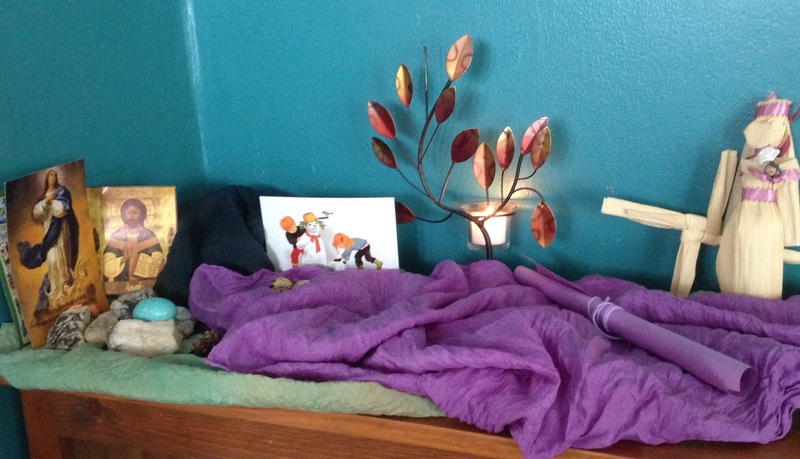 In the weeks leading up to Lent Creator began to whisper to me what things our family needed to grow. On my homeschool path there are exercises for each day of the week to help guide us to walk in a good way. They are called Steiner exercises, by Rudolph Steiner. Here is the exercise I chose to acknowledge and have us work through as a family, specifically for Lent. Only serious, meaningful speech must leave the lips of those who strive for higher development. All talk for the sake of talking – to pass time, for example – is harmful. Avoid the usual sort of conversation that involves jumbled, simultaneous cross-talk. This does not mean you should cut yourself off from interacting with others. Especially in such interactions with others, your speech should gradually become increasingly meaningful. We aren’t giving something up this lent so much as hoping to gain higher development. To help us there are several exercises we will utilize, because we humans need a lot of help, without shame. 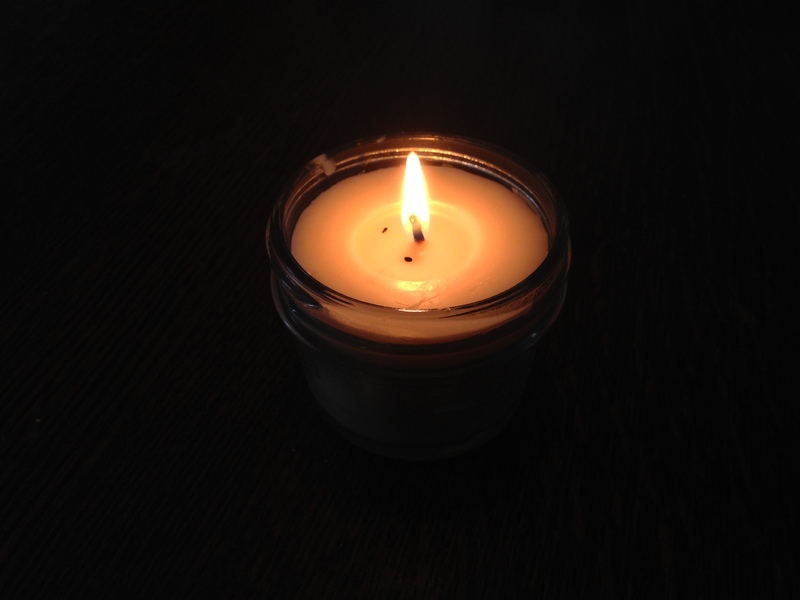 We have a special candle that was gifted to us made of beeswax. The exercise is called Silent Candle. 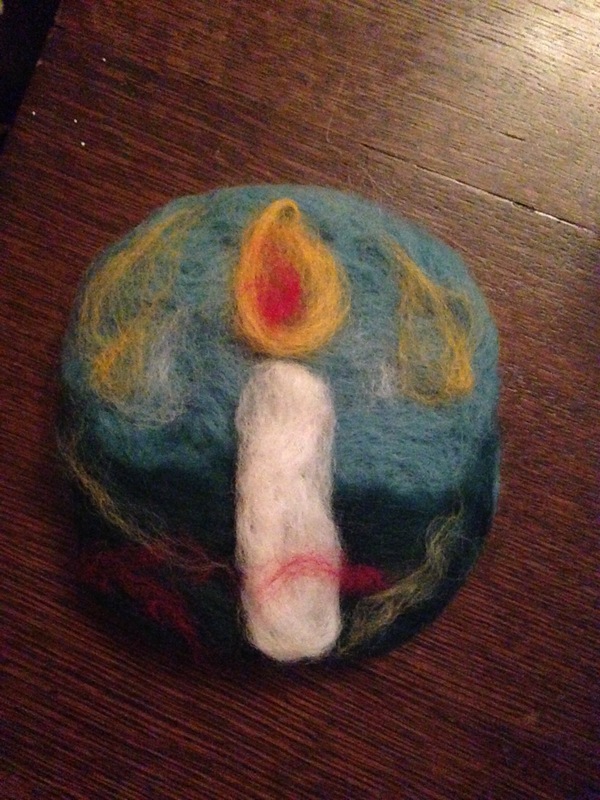 When we light this particular candle, we become Silent, several times each day. The exercise is intuitive, and important to practice because during the time of preparation I hope to quiet myself. It is hard to ((hear)) Creator speak when we are noisy inside and out. To signify our movement toward a quieter 40 days I had my oldest boy write ALLELUJAH in cursive on a piece of purple construction paper and decorate it, then tie it with twine in a scroll. We placed it on our Seasonal table to sit till Easter when we can unroll it and proclaim ALLELUJAH, HE HAS RISEN! We added a purple silk to signify the liturgical season, along with our Icon post card of Jesus and Mother Mary, and our recent Saint Brigid cross and doll. We have a few rocks and stones, as well as a robin’s egg and two real quail eggs gifted to me. I cooked the yolks, but emptied them by making a pin hole and blowing them out. The egg being a symbol for Easter and what is to come. This season is important to me as a year-round home schooling mama, because it is a time to prepare for our new beginnings. Just as we Remember Jesus and the 12 stations of the cross, we also walk our own path. We prepare to be reborn, and begin a new year. In my time of quieting down I am deep into reading my curriculum and meditating on my children and what they need for this upcoming year of learning. Winter is a time for Planning and Dreaming. It just seems right, so it is lovely to coincide with my school planning. We are always in a fluctuating state of giving and receiving around here. We take time to rest and receive and we take time to give to others. During this time we will be doing little things to uplift each other. Our homeschool consultant calls chores “home blessings,” which I like because when we do for our family, it is good for the whole. A blessing indeed. We will take time to choose from a small bowl of laminted blessing cards a couple times a day to bless our family and practice giving. Lent is not so much about being “religious” to me as it is a time to practice developing ourselves and seeking to walk this earth in a good way. There is no better way than giving, which is an outward of expression of the fullness we feel inside, because G-d has filled our cup. 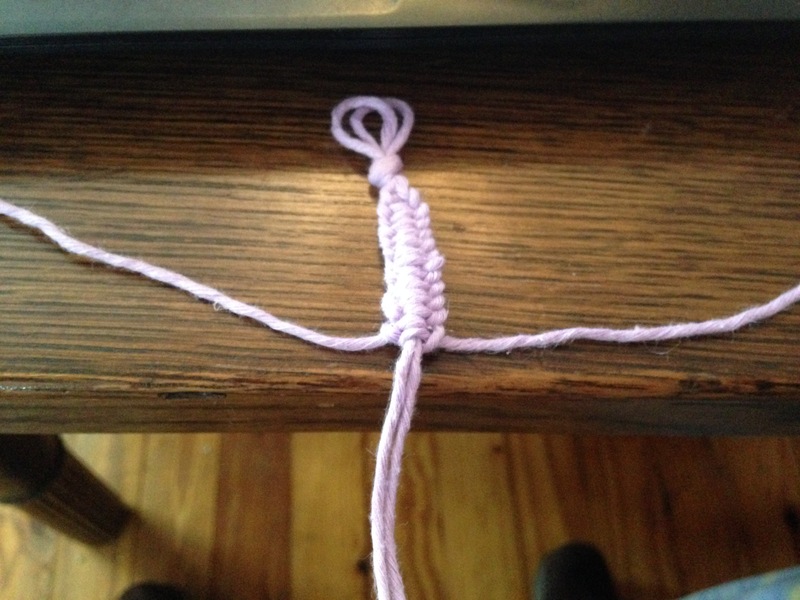 Here’s my Pinterest Lent board if you need inspiration. If you would like all the Steiner exercises of the week, then see my Pinterest board, Planning, Cleaning and Organizing. I am a fan of preparation. There is ritual in preparation and that is ceremonial to me. Life is Ceremony. Many people speak about praying and I believe in Walking in Prayer. To do this one must not believe that the Spirit world is separate from the Physical world. This is much like saying The Kingdom of Heaven is Near. It is. Jesus was right. And from what I have learned across cultures, time and space, many people are saying the same things. When the Holy Spirit descends upon a person they take into them the ability to understand the many languages of the world. At one point in time that was taken away, because of the actions of mankind. We have to come full circle. To come full circle means to descend from G-d and to return to G-d. Are you home? We are born, and descend, just like we come out usually head first from our mother’s wombs and return as Elder’s again leaving from our toes to our head back to Creator, dropping our robe. I have spent time working as a volunteer with Hospice, 11th Hour patients. One day I was called to a nursing home in a nearby town. When I arrived family was there with the Elder woman. I could tell she was ready to leave this world, but her family loved her so much they anchored her down earthside. As it became dinner time, the family decided to leave and eat. I began my work as Creator has guided me in helping the woman to relax. She was unconscious, but very much aware. I felt her leave from her toes to her head. Her Spirit drew up out of her body and left. It was one of the most peaceful deaths I have Witnessed. I am not particularly good at letting people go. Actually I am quite selfish in these regards. But, I have a gift, and Creator needed me. It’s not always easy. Professionally I can do this, personally I have much to learn. It really has to do with my higher and lower selves. Preparation. It is almost that time. I feel myself drawing inward. I feel Creator asking me to quiet myself. This is hard because a majority of my homeschool community (read: support) is online, but I feel the need to quiet there too. I am beginning preparation now for many things. I am preparing to teach two grades again. I am preparing to evolve my writing and blog. Today begins Baptism class for my oldest son. The church makes a good point that these children and people are preparing themselves to be cleansed with Holy Water. Washed new. We as the congregation must prepare alongside. I am exicted and curious at the Mysteries G-d has for us this season. Ash Wednesday is in a few days. I envision the palm leaves burnt and marking my forehead. I am already marked. I envision myself walking in my human robe quietly awaiting. I await G-d. Listening. G-d is here. Homeschooling, a few thoughts and misconceptions. Often on my journey I find myself in conversations about homeschooling. Schooling is my day job and bound to come up. I entered into parenting 10 years ago, and homeschooling seriously about 6 years ago. I have had those 6 years to pray, work and be consulted in doing the best job I can. I am not any different from those of you that wake, dress and leave your home to a job. All of it takes diligence, perseverance, intention, striving, courage at times, study, reflection and consulting. I do have a consultant and private groups that I can turn to at any moment for coaching. I also spend my time helping others after I have walked the path. We all have support for each other, if we are willing to give and receive. Many folks say they aren’t sure how I am able to do it. I can understand that. I also feel that I cannot do the jobs of others as well. For example, I could not or do not want to be a lawyer, a public school teacher, a wood worker, and an accountant to name a few. Those positions are just not on my radar. However, as I began to have children, Creator began to place on my radar that of teacher at-home. I had Never heard of homeschooling before a lady in my nearby town planted the seed in my heart. As time moved on and the children grew I found myself teaching them. I am my children’s first teacher after all. We all are teachers as parents, our children imitate us and learn from us. At one point we put my oldest child in pre-school for 1 1/2 years, but we could see that even though the school was good, the experience was not working for us as a Whole family. I did not just consider my experience, or the oldest child’s experience, or my baby’s experience at the time, or dad’s. I considered All of our experiences, weighed them on my heart and mind, prayed daily and listened. Creator always showed me the path of peace. In the end, through all my doubt and questions, I found our way to peace through schooling at home. It works best for us. I know many people believe there are many homeschooling parents that just do not do the work and give the good teachings to their children. It takes guidance through life and helping them to unfold. Well, I am most certain that is the case. I am also certain there are many parents with children in public and private school that are not able to guide their children and help them to unfold either. Many schools let children fall through the cracks. Many parents do as well. This is a fact because I meet them as adults and they tell me so. It does come down to the parents, and their healing and how they relate to their children. This is what I Love about my curriculum. It comes with work. Mama work. Teacher work. Family work. Marriage work. It All matters. Relationship. Connecting. Struggle and success. I have to do my work everyday. Not only do I have to study a lot, I have to get up before my children. I have to meditate, read, care for myself and pray. Another thing on folk’s minds concerning homeschoolers is socialization. Homeschool children are very social, and some are not. I believe some of it has to do with temperament. I have met many private and public schooled children who are not social, but it is because they are introverts perhaps and just prefer one-on-one interactions or small groups, as opposed to large classrooms, big parties and so on. So, I feel it is the same for homeschoolers. My children are very social and loving creatures, but half of us are introverts, so we prefer small groups, one-on-one or the like. The other half of us are extroverts, there are five of us at home, so we always have each other. My children get opportunities at church or our other spiritual communities, the grocery, my husband’s open house night (trolley art hop), visiting grandparents and cousins, Valentine’s parties at the coffee shop, and well the list goes on. I also believe that children under 7 do not need to be overly socialized. Home is a good place. Rhythm is a good thing. This is just my experience and observation, as well as study. There will always be some child or adult that lacks what they need, and it is up to the adult regardless to help make a change. There may not be guiding adults in some children’s lives as we can look around the world and our community and see, but hopefully there is some program or individual willing to go the extra mile to bring a smile, hope or inspiration. It is not for us to judge a persons experience, so much as discern whether we can help or not. I am not writing this to convince anyone of anything. I don’t think that is necessary. However, I did want to write about my experiences and conversations with others. I speak with mama’s all the time who have terrible experiences out in public, or online where they are judged. And I speak with mamas’s who are out and about or conversate online with others and they feel very supported. This post is how I view life around homeschooling and navigating this particular path. If homeschooling is coming up over and over in your thoughts, then there may be something to it. Pray about it. Talk to someone. If you think you can’t do it, you might not be able to, or you may just suffer from doubt and lack of confidence. Home educating isn’t for everyone. This path is for me though. I am a teacher. I enjoy what I do day-to-day. I love my boys and want to be with them a lot. Do I need breaks? Yes, totally. Do I get as many as I probably need or like? No, but this is a season of my life and I have learned boundaries and limits and when to take an in-breath and an out-breath. I bet many of you feel the same. Many of you who leave the home and work and have children, or stay home also wish you could take a break and not feel guilty about caring for yourself! This is parenting and living. Some of you have the blessings of a great local community, and even large family who can help you often. In short, we are all in this life together, just different paths. I am no different from you, except I have my own thoughts on life as you have your own. I am no stronger than you, and you are no better than me. We all have something to do here on earth and if you are walking your path, you’ll know it because it will feel good to you. I feel good. Do I struggle? Absolutely!! Do I become wiser because I work through that struggle, I certainly hope so! Let me know your experience. Do you homeschool? Do you want to? Do you know others who homeschool? Do you work a career outside of the home? Is that exciting for you? Do your kids go to public or private school? How is that working for you? If they are getting what they need there and you are also able to guide them, then that is great! Waldorf Third Grade, Year in Review. It is very hard to believe that we are coming to a close with Waldorf Third Grade curriculum, The Old Testament, Form Drawing, Math and reviewing the four processes, especially making sure we know multiplication and then divide really well. Jewish Festivals. Farmer Boy, by Laura Ingalls Wilder. Building and woodworking. Choir and a chance to perform for church. Movement, always movement. Crafting, some sewing and knitting. And acquiring fluency with reading, as well as cursive. Waldorf is an interesting and inspiring curriculum to follow. I have learned before Waldorf that Spirit is in the mundane, but Waldorf and the rhythm required helped my will to solidify this aspect. I do read some Rudolph Steiner and respect his writings, but I also utilize my G-d given intuition to guide our children, when it comes to what I am to teach them. As a teacher I must guard my words and the mediations of my heart, as it says in Psalms 19:14, for it is our children that will inherit the earth. As a parent I must guard our children’s senses. There are actually 12 senses. Touch, life, self-movement, balance, smell, taste, vision, temperature, hearing, language, the conceptual and the ego senses. Some of these senses are inner and some are outer. Touch, is the internal response to contact with the outside world. Life, this sense is the internal feeling of well-being and being alive. Movement is being inwardly aware of the way the body parts move in relationship to each other. Balance, this sense orients us to the world with respect to up, down, right and left. Smell is the sense that allows one to come with the outside world via odors carried by the air. Taste is a deeper connection with the outside world in which flavors are directly sampled. Sight is the sense that takes in the exterior images of the outside world. Warmth, with this sense we are directly aware of the warmth of another body. Hearing, this sense can tell us more about the inner structure of an object than sight. When an object resonates, we learn about its deep structure from the sound we hear. Speech. The sense of speech, word or tone, which is the hearing that involves meaningful words. Thought refers to the deeper sense of entering the being speaking through their words. Ego, this is the sense of ego or I, which enables us to turn our thinking towards the being of another and behold their I, their unique individuality directly. Here are two links to provide you with deeper learning. I used the chart in the first link to bring you the 12 senses in an organized manner. To remain aware of all these senses within oneself, as well as meditating on these senses for our children takes a lot of work. It takes my inner work and time management. This past week was a long and hard week. At the beginning of the week our beloved pet friend, Kiva, who was almost 17 years old, dropped her robe. She ran across the rainbow bridge and I could see her smiling, looking back and running hard and fast to the pasture in the sky. We have dealt with that grief of burying a friend this week and honoring her the best way we know how. One of our children also began violin this week. We had choir, Cub Scouts and the children went with Papa Bear to the wood shop. I am always preaching balance at home, so much so it probably gets on everyone’s nerves when I have to say “no” often, so that we do not overdo. Well, this week we overdid. My middle guy woke up this morning with the responsibility of going to an early church service and having to speak a short passage, the Cub Scout Promise. He had the passage down, but to culminate the week his front two middle teeth fell out last night. What changes this child has seen recently! And this child needed more sleep to process all that he has seen, heard, felt and sensed this week. I was not able to bring this balance to him and this morning he was showing it. I felt so bad for him as he was so tired, but had to keep his responsibility to his Pack and Den. It was my responsibility, and his dads to protect him. I promise to do better next time that we have such a hard and long week. Children are half our size, four or five times younger and cannot endure what we adults endure. We all must remember this as parents. It is okay to learn, stretch ourselves and grow, but we have limits and boundaries for a reason. Farmer Boy, by Laura Ingalls Wilder has been one perfect book to help us in the 9 year change process. Almanzo provided some insight to the changes one sees in our child throughout the year, and the growth, will and responsibility that ensues. My oldest has really come a long, long way this solar cycle. We vision these changes for our child, we assist, but the work is truly up to them. I could not be more proud of Eagle Boy. He has grown with his building skills, skills I have always seen within him, and spends some time with dad at the wood shop, one to one and a half days a week on average. I can’t say how Good this is for him to be with a masculine authority figure enough. At the start of the year we had chickens and a tom turkey, as well as a female turkey on a clutch. By the end of fall all was lost, so we will be starting over this spring. We do still have and love our French Angora bunny. She has a lovely bunny condo near our basement, packed with straw for warmth. We feed her timothy hay, pellet food, applewood sticks and pine cones, sunflower seeds, banana peels and plenty of water. We have also collected some of her hair, and plan to do something with it, but no ideas as of yet. It seems as though bun bun will be on a cycle of 90 days with shearing. We welcome her up in our kitchen most days to hop around and visit. And we purchased a nice round pen for outside days and plenty of hop time. Occasionally, I allow Eagle Boy to walk her around on a bunny leash, which is a sight. Jewish Festivals and Judaism was a large portion of the teachings this year as well. The Old Testament is the Christian Model and perspective of the Hebrew people. However, the Jewish people themselves follow The 5 Books of Moses, also known as the Torah. Nevi’im, which is the book of the Prophets, and the remaining writings are known as the Ketuvim. When asked to sum up the essence of Torah, Rabbi Hillel famously responds, “What is hateful to you, do not do to your neighbor. This is the whole Torah; all the rest is commentary. Now go and study (Babylonian Talmud, Shabbat 31a).” The Golden Rule is at heart a Universal Ethic. Here is a link to take you into a further study of the many faiths and their way of speaking the Golden Rule, Living Reciprocity. We did not delve into the Hebrew Bible, but we know there is a difference between the Christian model of the Old Testament though. And that is a start. Looking deeper into the Jewish festivals we used many books suggested by our local Jewish Community Center. Also the book Jewish Festivals, by Drucker and Patz. I also found my private online Waldorf community of Jewish people and non-Jewish people extremely helpful in schooling me on the facts and the emotions these festivals bring to family life. I am grateful to have the opportunity to learn and study deeper many faiths and to bring these faiths to our children, so that we may have tolerance, understanding and compassion for our fellow brothers and sisters. Form drawing has been a very pleasant element in our schooling for several years and I continue to use Christopherus Form Drawing and Waldorf Essentials to aid us in crossing the midline and bringing focus to our week. Especially on Monday’s!! After speaking with our eye doctor two years ago and recently again this year, Form Drawing has really helped to strengthen the eyes and help with convergence. We are proof! Reading! I knew that we had some work to do this past year with reading, but we buckled down and got to it. Daily reading is so important. Taking the time to snuggle up and practice is really a pursuit of the will, especially if your child does not come to it easily. I loved reading A LOT, so I had to have patience with my older guy who loves reading too, but only in his own time and only what he wants to read. I did really want to nurture and respect his coming to reading in his own time, but I could also tell as a part of his will development, he needed me to help him stay focused. Sanguine and choleric in nature, we needed that impressed into our rhythm. I did allow him to read what he wanted, but occasionally we ran out of books that he liked and had to just read what we had on the shelf. Although in Fourth Grade I intend to go to the library a little more with him and learn some Library Science, researching skills and the checking out of books that will enable him to continue strengthening his fluency, as well as comprehension and book reports. Cursive has finally taken a front seat with Eagle Boy’s summaries and slows him down a bit, which is needed for his soul development. Verses, and summaries for the Old Testament stories and Jewish Festival teachings have held priority the last half of Third Grade with cursive. He proudly enters these into his Main Lesson Book. Movement never leaves our sphere for learning. The boys take hikes regularly, jumping on the trampoline, and having a lot of fun building in our backyard. We have a lot of wood that Papa Bear could not use or store at his new wood shop, so the boys have had a daily access to Some tools and this wood. Papa Bear made a small structure on a large fallen limb from Grandfather Tree, as a fort. The boys also have access to fire building with permission. Over time Eagle Boy has collected knives as tools, not toys, and this has been a huge teaching in itself. One aspect to this past cycle that really turned us upside down was getting sick several times in late fall and early winter. For about 2 months we were pretty down and out, and have had to make up some schooling recently, so that everyone can be prepared for this next cycle. But we enjoy learning, so it is okay. Although, this down time really got us out of our rhythm of Movement, in comparison to our normal routines. We are slowly bouncing back and are very grateful for our health. Lastly, almost one year ago our family began attending my childhood church. I felt the call home and it was perfect timing with our Old Testament studies. Our boys have flourished in many ways. They have made good friends and have come to love going to Wednesday night fellowship, eating with friends and doing crafts relating to the liturgical calendar (which is circular, not linear!) I am pleased with this and Eagle Boy will be attending, by his own accord, a Baptism class beginning next Sunday. Baptism will be at Easter service which will bring us full circle, as that is the first service we attended last year, where he saw his friends doused with holy water. I love that our church sends a small bottle of this water home with the child as well. Eagle Boy initiated this process on his own, so I feel it is good timing and an excellent ceremony to end one season of his life and begin anew. Winter is my time for planning and dreaming and we look forward to learning more in Fourth Grade about Norse Myths, Viking life, Geography and Mapmaking, Math, Reading, more Form Drawing, Grammar, Cursive, Archery, Land Management, Tool-making, and whatever Great Mystery brings us. Hopefully, in my next post I will explore First Grade coming to a close for Little Fox and all the exciting changes and growth happening for him. Thanks for reading this post and keeping up with us. Now, we must take the rest of the day to rest and prepare ourselves for another week. Here’s my Pinterest board for Third Grade if you need any extra links or visual inspiration!